The Netherlands-based bVPN is the brainchild of iSpire, a software development company also known for iWasel if that rings a bell. The iWasel offering targets countries in the Middle East while bVPN, introduced in 2015, is its international sibling that competes with popular VPN providers out there. I’ve tried bVPN and was quite impressed with the robust security features, decent performance and the extreme ease of use. Here’s the breakdown of all the reasons why I think bVPN is a valid option for an average user, and some considerations. First off, bVPN offers a free trial both on desktop and mobile devices. You can get a free hour with all features enabled – but not all servers available – just by downloading their desktop app. On mobile, you can activate a three-day free trial. The good news is you don’t need to submit your payment information to enjoy the free trial. The not-so-good news is you need to register and activate your valid email. If bVPN is your cup of tea, you can buy their full service using a wide range of payment options – from Bitcoin to PayPal, WebMoney, Mint, OneCard, CASHU, iDeal, Fanapay, and credit cards. The roster of plans is straightforward - $9.99/mo, $50/6 months, and $90/year. 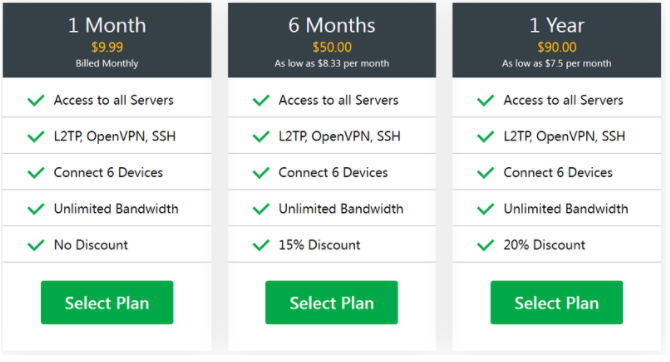 All three subscriptions come with unlimited bandwidth, access to all 26 servers, OpenVPN support, and ability to connect up to six devices simultaneously. All plans come backed by a 7-day money-back guarantee. 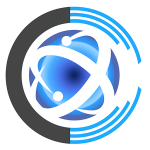 bVPN supports major operating systems such as Windows, Mac, Android, iOS, Linux, and Chromium. The website is well-organized so finding the download files and instructions is easy. I tried the Windows and Android bVPN clients. Both are dead-simple to sort out, with the mobile port offering fewer options and worse stability. It crashed on me whenever I tried connecting with default settings, and it keeps crashing every time I hit Disconnect. Other than that, when it works, it gets the job done. 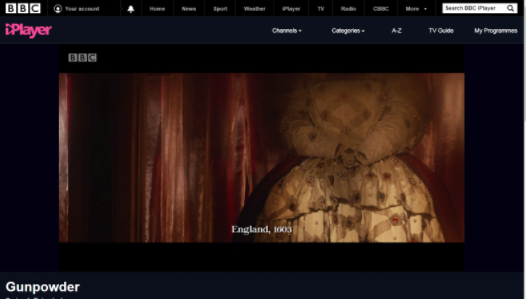 The desktop bVPN app is not a beauty queen, but offers enough tweaks if you need them. You can switch protocols, choose encryption levels, enable a kill switch, and more. Connecting/disconnecting was a breeze; the app did not glitch or freeze. bVPN features 26 servers in 14 locations including USA, Canada, UK, Australia, Germany, France, Netherlands, Saudi Arabia, Sweden, Russia, India, Singapore, Japan, and Ukraine. Once you pay, you get access to all servers, while a good deal is available in the free trial. For torrent lovers, P2P file-sharing is allowed. bVPN comes packed with OpenVPN via SSH tunnel, which is the encryption used by HTTPS connections. This is good because VPN connections through SSH tunnels are hard to tell from ordinary HTTPS traffic. This additional layer of encryption adds protection against Deep Packet Inspection. The proprietary Smoke Tunnel is an additional obfuscation perk that helps you bypass particularly persistent VPN blocks. Smoke is especially useful for users connecting from China, Iran, Turkey, and Russia. On top of that, the app features a kill switch (thankfully dubbed as a kill switch, so you don’t need to guess which feature cuts your Internet connection if VPN drops out). You can also enable the IPv6 leak protection, and select which TAP driver you wish to use (the native OpenVPN TAP or TAP-bVPN). I appreciate how the app has buttons to reinstall and install respective drivers, so if something should get broken, you have shortcuts to troubleshoot TAP driver issues. As always, I ran my speed and security tests for performance and privacy leaks. The drop in speed wasn’t unreasonable on desktop, but on mobile, it slowed down to a crawl (my default connection wasn’t stellar, either). On the security front, bVPN has an attractive roster of features. OpenVPN users can switch between Normal and Strong encryption, Blowfish 128-bit and AES-256 bit respectively. Combined, the kill switch, IPv6 leak protection, OpenVPN via SSH, plus the Smoke tunnel make for a very solid proposition. Privacy-wise, bVPN is somewhere in the middle between the die-hard no-logs providers for privacy wonks, and those VPNs that aren’t exactly zero logs. For one, the Netherlands isn’t exactly your privacy haven, being a part of the 14 Eyes treaty, and engaging in quite intrusive surveillance. On a side note, VPN providers in Holland aren’t required to keep logs. 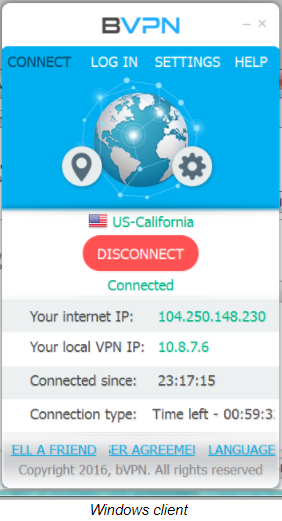 bVPN does not keep usage logs but does log your connection details, such as connection IP, time, duration, and bandwidth consumed. Connection logs and ToS might seem restrictive if you plan to leak state secrets. 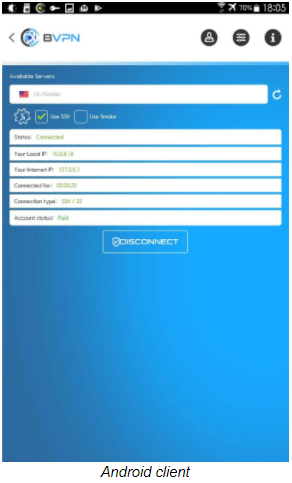 Otherwise, bVPN is a robust and reasonably priced VPN that could work well for beginners and advanced users alike. Try it!